About 3 chapters into this book, I began planning my trip to Kamchatka. Kennan's description of the coast, the mountain ranges, the villages seated at the base of active volcanos, the wild rivers, and the tundra were so intoxicating that I felt I had to see them with my own eyes. This book is the single most well written travelogue I have encountered, which means of course that it was written over 100 years ago when people knew how to write, for an audience that would only ever see what the author has seen through his own words. Had to constantly remind myself that this REALLY happened and that it wasn't a fictional story. Fun but a little confusing due to lack of a map and place-names that have since changed or been lost to the intervening 130 years. So interesting! This true story describes people, cultures, and places as they were about 150 years ago. Friendly writing style; the author has you laughing with him at his misadventures. Although some of the viewpoints in this book are dated (white man meets indigenous populations late 1800s), the writing is amazing. 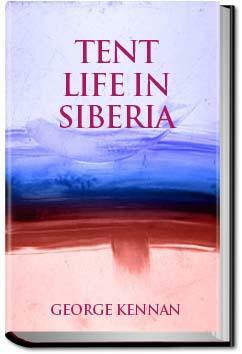 Kennan clearly has a good sense of humor - you'd have to to spend the better part of the winter traversing Siberia by dog sled and living in a tent! Who knew that, after the end of the Civil War, an attempt was made by a U. S. company to lay a telegraph line from Alaska through Siberia. A fascinating, well-written account of the author's participation in the expedition.